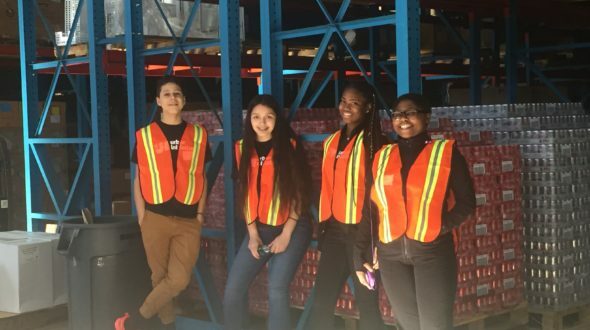 On Friday, February 2nd, we sent over 130 of our Take the Lead captains to Michael Lewis Company located in the southwest suburbs of McCook, Illinois. Michael Lewis Company is the worldwide leader for in-flight and catering products, global logistics and supply chain management solutions for the airline industry. The theme of this retreat was stress management with a focus on high school readiness. 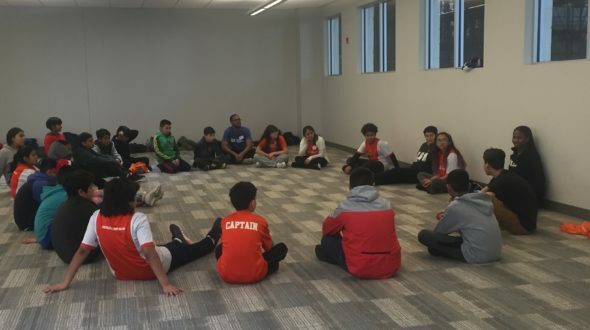 The objective of this retreat was for team captains to gain a better understanding of the importance of stress management tools and how to use them by practicing them during the retreat. This retreat was jam packed with fun activities that kept our captains engaged from beginning to end. 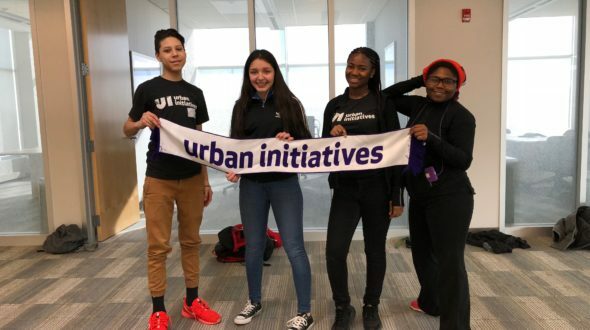 At Urban Initiatives, we try and provide our participants with new experiences that will stay with them for a lifetime. For the majority of our team captains, yoga became that experience. We were lucky enough to partner with Indigo Monae, founder of Yoga Gardens, to bring her expertise to our captains. They quickly learned that through the power of yoga, stress can be harnessed and turned into something positive. Another first at this retreat was having our Coach for Success participants come out as volunteers. Our CFS leaders spoke about their high school experience. Many of our CFS participants graduated from the same middle schools as our team captains soon will. Being able to tell their story with a focus on their transition from middle school to high school was something that resonated with our team captains. This retreat would not have been possible if it were not for the great hospitality provided by Michael Lewis Company. MLco went above and beyond by providing breakfast/lunch, space and volunteers. A big shoutout to Tony Poku, Yousra Zerhouni, Paige Williams, and Jessica Castrejon who participated in a panel focusing on our themes. It was refreshing for our captains to hear real life examples of how our panelists turn stressful situations into positive outcomes in the workplace. Lastly, our participants were able to take an in depth tour of the Michael Lewis warehouse. It is very important for captains to understand the environment that they are in and how that relates to our themes. This tour lead by MLco volunteers allowed our captains to do just that. Some highlights of the tour included a giant walk in refrigerator/freezer and giant forklifts that extended up to the ceiling! What made this retreat such a success is that our learning objective was met. Team captains walked away with tools that will help them manage stress going forward. The earlier on our captains can acquire these tools, the better off they will be once their high school careers begin. This would not have been possible without the amazing support from Michael Lewis. We hope to continue this great partnership in the future.